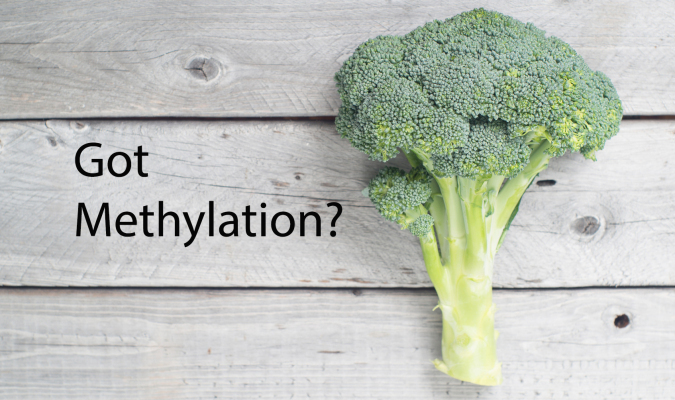 Methylation is the latest buzzword in the health industry and for a good reason. It’s is a biochemical process involved in almost all of your body’s functions! Without getting too technical, methylation is the addition of a single carbon and three hydrogen atoms (called a methyl group) to another molecule. The removal of a methyl group is called demethylation. Think of billions of little on/off switches inside your body that control everything from your stress response and how your body makes energy from food, to your brain chemistry and detoxification; that’s methylation and demethylation. 3.2 Get B vitamins and folate! 3.3 Support methylation with supplements! 3.6 Reduce stress, booze, smoking and toxins! 4.2 Eat healing sulfur foods! 4.4 Take healing protein powder! Improving methylation is important for everyone, but it’s especially important if you have an autoimmune condition. One of the reasons is the role of methylation in detoxification and in the production and recycling of glutathione, the body’s master antioxidant and master “splinter” remover. Glutathione directly neutralizes free radicals, reduces hydrogen peroxide into water (reducing inflammation), and assists in the role of other antioxidants like vitamin C, E and lipoic acid. Glutathione contains sulfur groups, which are sticky compounds that adhere to toxins and heavy metals and carry them out of the body. This is good thing and you want lots of it! Studies have linked impaired methylation and low levels of glutathione to every type of autoimmune condition.3 I haven’t met anyone (including me), with any type of autoimmune condition, that has adequate methylation and levels of glutathione! In a perfect world, your body makes its own glutathione from the amino acids cysteine, glycine and glutamine, and then recycles it via methylation using methyl donors like vitamin B12, folate, betaine and other nutrients. Under normal conditions, your body makes and recycles enough glutathione to handle all the toxins that you’re exposed to. However, if you have a high toxic body burden, or a part of the methylation cycle is disrupted, you can get very sick! Glutathione can become depleted due to a high toxic load – meaning it gets used up faster than the body can make it. There are many toxins that deplete glutathione: alcohol, cigarette smoke, petrochemicals such as MTBE, pesticides and herbicides to name a few. Poor nutrition, especially low protein or vegan diets, can leave you without the essential building blocks for glutathione production. You could be lacking the important nutrients (methyl donors), such as B12, folate and betaine, which are needed to produce and recycle glutathione. If you lack enough of these nutrients, it could be due to a deficiency in your diet, or low stomach acid or some other factor like drinking too much alcohol, which impairs your ability to absorb these nutrients. You could have toxins, such as heavy metals, blocking your methylation pathways. You could have a “genetic trait” that impairs your ability to process folate, which is necessary for methylation. It’s estimated that up to 40 percent of Americans have the MTHFR “trait” and are unable to convert folate from food into its active form (l-methylfolate). The bottom line is that there are several factors that can contribute to impaired methylation and low glutathione levels. If you have an autoimmune condition, chances are you have one or more of these disrupting factors. Eating tons of dark leafy green veggies daily provides you with natural folate (a methyl donor), necessary for proper methylation. Make sure to get a minimum of 2 cups of these healing foods per day. Get B vitamins and folate! B vitamins are methyl donors, especially folate, B6, B12 and riboflavin. Eating for Your Good Genes approved food sources of B vitamins are: organic chicken and beef liver, fish, eggs, dark leafy greens, asparagus, almonds, sunflower seeds and walnuts. Even if we eat right, most of us still need to supplement with B vitamins. Make sure your B complex or multivitamin contains adequate amounts of these important methylation cofactors. Look for folate in the form of l-methylfolate as Metafolin. Empowerment Formula is the best multivitamin on the market and contains all the B vitamins in the most bio-available form. Note: Dosages of B vitamins vary from person to person – I suggest nutritional testing to make sure you’re getting the right dose. 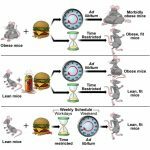 If you suspect that you have impaired methylation, it’s important to start low and go slow. Introducing high-dose B vitamins and folate (l-methylfolate) may improve methylation fast, which can ramp up detoxification, causing pathogens to “die off;” they release toxins as they die and those toxins make you feel sick. This is called a Herxheimer (Herx) reaction, also known as a “healing crisis.” Increased methylation may also mobilize toxins such as heavy metals, which may also make you feel sick if it happens too fast. Make sure you get adequate amounts of magnesium and zinc, which support methylation. Take TMG trimethylglycine (betaine). Note: Dosage varies from person to person. Remember, low stomach acid can interfere with the absorption of important nutrients such as vitamin B6, B12 and folate. Follow the guidelines in Chapter 16: Heal Your Gut. Remember, the good bugs help produce and absorb B vitamins and folate! Reduce stress, booze, smoking and toxins! These toxic “splinters”burden and poison your liver, and use up methyl groups! Glutathione is the body’s master antioxidant and a major “splinter” remover! Again, Eating for Your Good Genes, Healing Your Gut, Restoring Your Liver and Improving Your Methylation will automatically help boost glutathione levels in most people. Eating foods that are high in the glutathione precursors, cysteine, glycine and glutamate will boost your glutathione levels. Eating for Your Good Genes approved food sources of these important amino acids include organic omega 3 enriched eggs, safe fish and organic lean meats. Sulfur is a key component of glutathione, so eating enough sulfur containing foods is vital. Eating for Your Good Genes approved food sources include garlic, onions and cruciferous vegetables like kale, broccoli, cauliflower, cabbage, watercress and bok choy. Note: Several older resources on thyroid conditions recommend avoiding cruciferous vegetables, claiming they are goitrogenic (interfering with iodine uptake to produce thyroid hormone). Let me assure you the cruciferous vegetables are safe, healthful and even protective for those with thyroid conditions as long as they are cooked, and you aren’t iodine or selenium deficient. Undenatured whey protein powder, has been proven to boost glutathione levels by converting cysteine into glutathione, and it has many other immune enhancing properties.7 If you are allergic to whey (which comes from dairy), you can try a hypoallergenic rice protein powder. Rice protein contains cysteine, a glutathione precursor. Take 1-2 scoops of protein powder per day in water, juice or smoothie. Vitamins, C, D and E all boost glutathione levels. 9, 10,11,12 Make sure you’re getting optimal values every day! Besides supporting reducing stress and depression, exercise also boosts your glutathione levels and improves detoxification.13 Just do it! Studies show that lack of sleep can deplete glutathione.14 Individual need for sleep varies. Make sure your get between 7-10 hours of sleep nightly. Studies have shown that milk thistle (silymarin) can boost glutathione levels.15 Take between 100 and 300 mg per day. Curcumin has been shown to raise glutathione levels in the liver; one more good reason to use this anti-inflammatory spice! 16 You can also take a curcumin supplement. Individual doses vary. N-acetyl-l-cysteine (NAC) is a synthetically derived source of cysteine and a basic building block for glutathione production.17 Most practitioners recommend between 600 and 900 mg, 2 times per day. 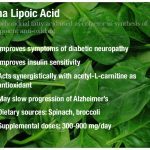 Alpha lipoic acid is a critical substance for many body functions and it works alongside glutathione in detoxification.18 Standard dose is 100 to 200 mg, three times per day. SAM-e is an important methyl donor that helps synthesize glutathione in the liver.19 Start with 400 mg, once a day in the morning. Make sure your SAM-e is enteric coated and sealed in individual foil packets. I personally take Jarrow Formula’s, which you can get at your health food or vitamin store. Important: Dosages of these supplements vary from person to person. Please work with a qualified functional or integrative practitioner to find the right dose for you. Glutathione supplements come in capsules and creams. The jury is still out on the your body’s ability to use these supplements (known as their bioavailability), and whether they raise glutathione levels inside the cell where it’s needed, but the research is promising.20 Look for oral products that contain liposomal glutathione such as BioGluteTM. We have less research on transdermal glutathione creams but many practitioners have observed their efficacy. Personally, I like Super Oxicell from Apex Energetics. Glutathione can be administered via IV, or compounded by a pharmacist and taken via injection, nebulizer, transdermal gel, capsule or suppository. Ask your practitioner if any of these treatments are right for you. Avoiding toxins, lowering your stress, healing your GI, and consuming foods and supplements that support methylation and glutathione can enhance your body’s ability to naturally detoxify and heal. Many times, just following the guidelines in The Thyroid Cure book is enough to reverse your autoimmune condition, and keep you healthy and vibrant for life. But sometimes doing everything “right” is not enough. While the strategies above work well for the majority of people, there are still those whose don’t feel good, or may even feel worse. It’s beyond the scope of this blog to discuss all of the nuances one can experience while working a healing program alone. If you don’t feel well, it makes sense to take the guesswork out and work with a qualified practitioner who can order functional testing and guide you through the healing process. If you scored high on the Toxic Stress Assessment, you may benefit from functional medical and genomic testing. This advanced testing can help you and your practitioner figure out your specific nutritional needs, your toxic burden and even determine if your unique “genetic personality” presents challenges to your methylation and detoxification capabilities. I’m here to help, so please feel free to call my office to make an appointment 575-613-4369 or join the conversation on Facebook!